Workshops led by The Discourse helped spur the development of two toolkits for journalists and migrants to use. Screenshot by J-Source. Workshops led to development of two toolkits for journalists and migrants to use. With an increased number of headlines across North America relating to the refugee crisis, reporters at The Discourse asked themselves how journalists could do a better job of reporting on refugees. 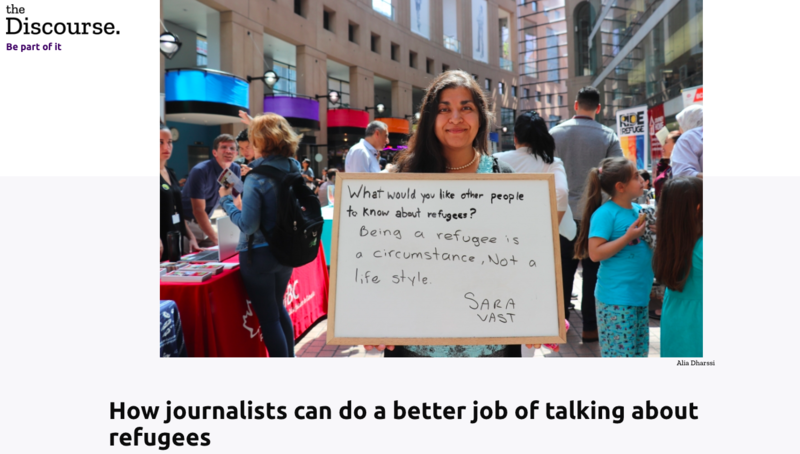 The media startup based in Vancouver, which focuses on in-depth reporting, recently hosted a series of workshops to produce an online toolkit to help journalists provide ethical coverage on refugee issues. A complementary toolkit was also produced to help refugees and asylum seekers deal with the media and prepare for interviews. More than 30 settlement workers, newcomers, refugees and asylum seekers from Afghanistan, Ethiopia, Guatemala, Indonesia, Iraq, Kyrgyzstan, Mexico, Myanmar, Peru, Syria and Yemen contributed to the project. 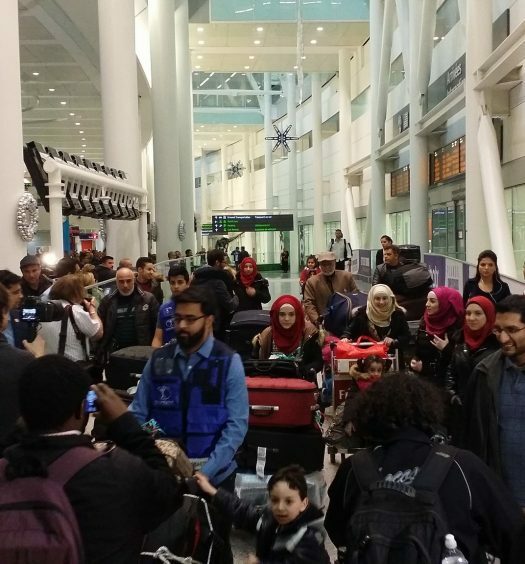 Since refugees come to Canada from all over the world it’s important for journalists to remember the media doesn’t operate the same way in every country, said Francesca Fionda, investigative and data journalist at The Discourse. She also said it can be difficult for refugees to share personal experiences with a journalist, especially if the journalist is not aware of the sort of challenges refugees face. 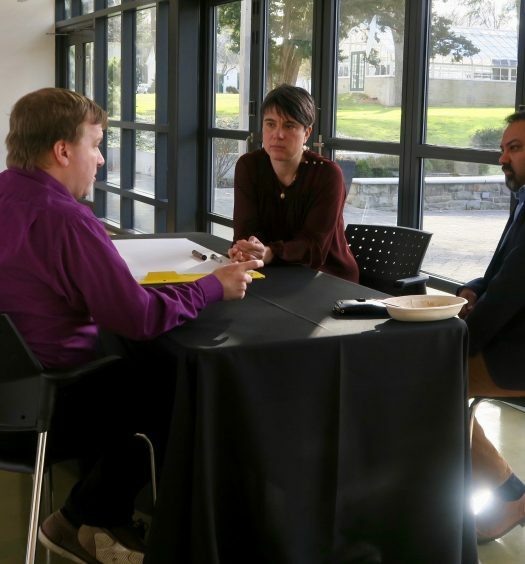 Reliving some of those traumas through an interview can be harmful, according to Fionda, so she recommends that journalists do as much as they can to let interview subjects know ahead of time some of the issues they may discuss. Ely Bahhadi was a workshop participant and came to Canada from Syria through the Student Refugee Program. As a master’s of journalism student at the University of British Columbia, he said he sees a lot of news outlets trying to get “the good story,” but that the good story sometimes means a focus on darker storylines. He said there are a lot of stories about refugees who have created new opportunities for themselves after leaving their countries of origin. Bahhadi said there needs to be just as much focus on these successes as there is on the tougher stories. Bahhadi referenced the Syrian refugee family who opened a successful chocolate factory in Nova Scotia. He said many more stories like this exist; journalists just need to search for them. Even though the toolkits are already posted online, Fionda said she hopes people continue to add to them. “I think everyone felt that they came out of the workshop with a deeper understanding, but also a lot more questions we hope to keep asking and seeking out the answer to,” said Fionda.